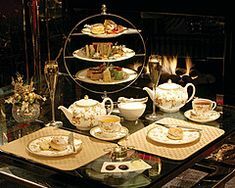 The Tea Party-Will it Sabotage Your Diet? While spending time at the lake today, I spoke with a woman who gave up coffee starting last weekend. She shared with me her need to completely get off caffeine. I told her about my four best-selling herb blends and offered her some samples. Approaching forty years old, I often find myself in conversations about diet and health with other women. While some of us battle our weight more than others, the older I get the more it seems we all battle with feeling good. Caffeine, alcohol, white sugar, and white flour are all big no-nos in our quest for energy and pain-free living. 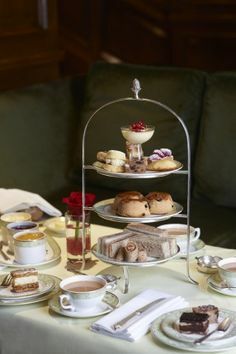 And the traditional tea party at first glance can include many of the “bad foods”. Some of my articles, including “Tea as Dessert” and “Give Up Coffee for Green Tea, Are You Crazy?” already address some of the concern. Here are a few other thoughts I had after my conversation this afternoon. 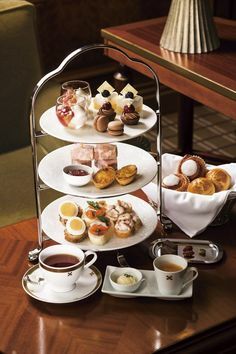 The hostess of the tea party can be sensitive when planning her menu to the reality that many of us who love afternoon tea also want to be wise about what we eat. 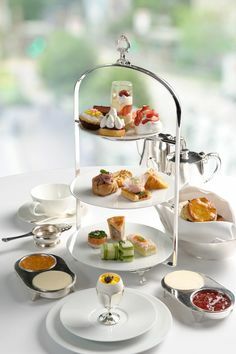 It’s important to plan menus that include smaller portions (a tea tradition) of many kinds of food. 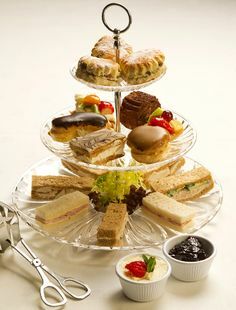 Don’t plan a menu of primarily white-flour based sandwiches, scones, and sweets. Explore how you can bring in cheeses, meats, vegetables, and fruits for a varietal menu. It will look beautiful, too. 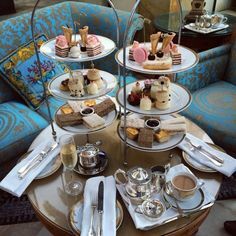 As a guest of an afternoon tea, it’s important to remember it is not the goal to leave it stuffed. Appreciate the process of nibbling, tasting, and slowing down. Make each bite count. Make sure what you’re eating is something you really like. As for the tea, practice drinking it without filling your cup with milk and sugar. Tea as a beverage is one of the super-foods and it’s wonderful to imbibe without guilt. The tea party does not need to sabotage our diets and health. This is a great reminder! I often serve fruit and small portions of cheese as dessert. Nothing else is needed! In addition, my “DH” – dear hubby – has perfected a scone recipe from whole-wheat flour with oats and flax seed meal. It’s phenomenal! Even “healthy foods” can be indulgent when eaten with intention, as you mention! Good for your DH! I would love to get my hands on that recipe. I’m so glad to hear you serve variety at your teas.